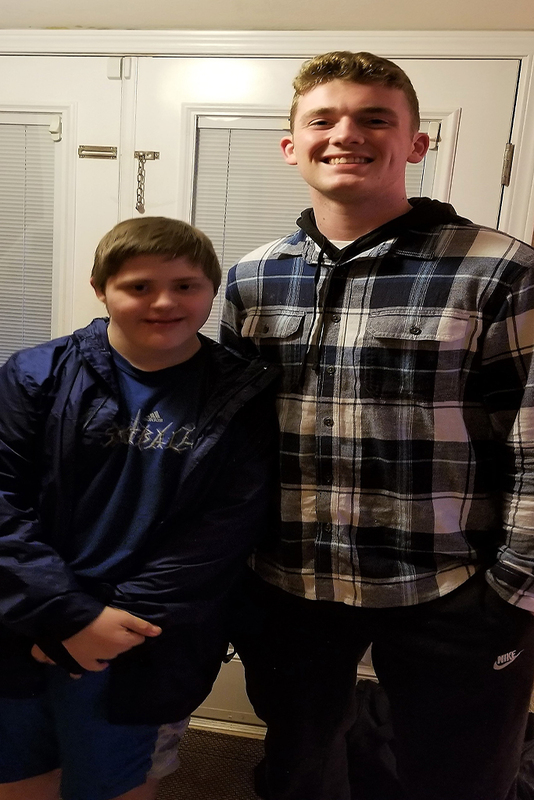 Juanita high school mentor Connor says, every single time I have the chance to hang out with my buddy, he absolutely makes my day and usually my week! My buddy has an appreciation for everything and our friendship is only getting stronger. When I’m with him I can never stop laughing at his humor and he’s taught me many things from patience to understanding but most of all how big of an impact on your life a seventh grader can have. I’ve only known him for a year and a half, but I have learned so much you through our friendship. We are excited to highlight Connor Bell, mentor, to our son, who is 12 with Down Syndrome. Our son has limited verbal expression but understands about 90% verbal expression. Building trust with him takes time and patience. Connor started off coming over to our house and just “hanging out” as his attempt to build trust. Well, that worked! They began to take short trips to local restaurants and then restaurants and movie venues. Their most recent trip included a movie and lunch! To really capture the special relationship between our son and his mentor can be summed up in two words, “My GUY!” Our son refers to Connor as his “Guy!” and while this might seem a bit possessive, it is out of pure love and trust. Case in point, we attended a Juanita football game this past fall. Our son watched eagerly and cheered loudly for his “guy”. This next event sums up how special this mentor program has been to our family: We, the adults, we’re all sitting and chatting while our son intensely watched the game but unknowingly watching as his “guy” entered the game. A mom/friend, calmly and quietly turns and says, “Your guy is in the game” His eyes got as wide as the field itself before he belted out “MY GUY!” “MY GUY!”. As his parents, we have to say that is one of the few times we have seen such wonder and amazement and…love in his eyes. We thank the mentorship program and Connor Bell for having the patience and the follow through to positively impact our son. Connor will always be a, “My guy!” within our family.